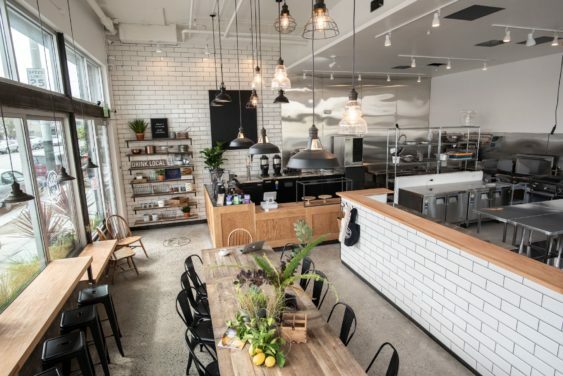 The co-working kitchen, café and premium event space extends a warm welcome to San Francisco’s chefs, foodies and curious locals alike with a mouthwatering Grand Opening to celebrate their new food entrepreneurs. Guests can stop by and get a taste of BiteUnite’s authentic cook, create and share community with a local happy hour and complimentary brunch offerings. The weekend will be jam packed with special activations from BiteUnite’s first kitchen members to show off the unique space and all its offerings. BiteUnite not only celebrates food entrepreneurs, but also the local food scene. Patrick Wong of Thick will serve up unique milkshakes, complete with a customizable toppings bar for guests to play around with. Attendees will also enjoy a complimentary glass of Wild Oak Ranch and Fort Point beer to wind down into the weekend. BiteUnite is keeping the party going with everyone’s favorite meal of the day, complete with a complimentary coffee tasting courtesy of Counter Culture and a live demo by experienced pastry chef Luis Villavelazquez of Les Elements. Guests will learn how to create and curate a selection of donuts firsthand with Luis, while sipping on fresh brew.